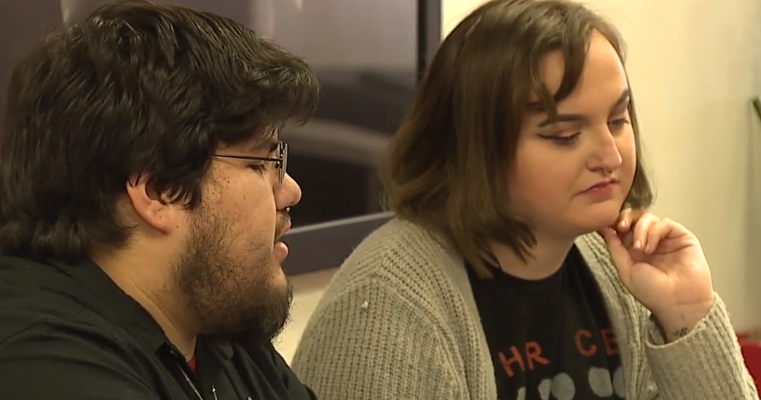 A youth coalition group in Las Vegas is demanding their voices to be heard as the Nevada state legislative session begins Monday to make their Nevada dreams come true. LAS VEGAS (KTNV) — What does your dream of Nevada look like? For the first time in Nevada, teenagers and young adults in Las Vegas formed a group to get a new generation of leaders to sign up for their policy platform. Courtney Jones and Alexander Kostan, leaders with Nevada Youth Activist Alliance in Las Vegas, said there is power in peoples voices. "I know that a lot of our passion comes from just struggling in this country," Jones said. Kostan said they desire to create something better for the community and they will not stop until their voices are heard. The launch of NYAA met Monday afternoon at UNLV. Kick off of the Nevada youth activist group also included youth in Reno with both locations reaching their sign-up goal but urge people to continue to come forward and learn the importance of talking to Nevada lawmakers. "I truly believe that we have the power today to bring in a lot of folks and get them up to Carson City," Jones said. Advocates for youth will be funding a Carson City trip in April. To join the network of young leaders or more information click here.